Jack R. Krans, 91, a resident of Calumet passed away peacefully on Thursday morning May 3, 2018 at Aspirus Keweenaw Hospital in Laurium with his family by his side. 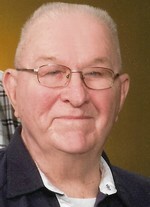 Jack was a former resident of Lake Linden and Bootjack. He was born on September 30, 1926 in Calumet a son of the late Eli and Alida (Niemi) Krans. Jack attended Calumet High School but, before graduating enlisted in the U.S. Army serving his country as an M.P. during WWII in the Pacific. On June 2, 1951 he was united in marriage to the former Margaret Aho who preceded him in death on June 10, 2007. Jack worked as a route driver for Thurner’s Bakery in Calumet before going to work for Standard Oil Company. With his wife at his side he formed Krans Oil Co. in 1976 and they operated the business together until retirement in 1992. Jack was fondly known as “Fuel Oil Phil”. Jack was a loving husband and father and worked hard caring for his family. He was an avid golfer and bowler. His favorite place to be was at the lake or on the pontoon boat in Bootjack. He enjoyed watching the Detroit Lions, Tigers and Red Wings. Jack was very outgoing and would immediately light up any room he entered. He was a member of the St. Paul Evangelical Lutheran Church in Laurium and St. John Lutheran Church in Hubbell, VFW Post 3900 of Calumet. He also was a past member of the Calumet Elks and Lions. Sisters: Mae, Enis, Verna, Alida, Gladys and Ann. Funeral services will be held on Monday May 7, 2018 at 11:00 AM at St. Paul Evangelical Lutheran Church in Laurium with Rev. Bryan Lundquist to officiate. Visitation will be held on Sunday May 6, 2018 at the Erickson Crowley Peterson Funeral Home in Calumet from 4-7 PM and one hour prior to the funeral at the church on Monday. To send flowers to the family of Jack R. Krans, please visit our Heartfelt Sympathies Store.